Nintendo 3DS Super Smash Bros. Tournament at San Diego Comic Con! Challengers Wanted! Hey there. Nintendo will be hosting its first ever tournament for the Super Smash Bros. for the Nintendo 3DS gmae at San Diego Comic Con on July 25th! How awesome is that?! And guess what?! Nintendo is inviting fans to show up at the Nintendo Gaming Lounge at the Marriott Marquis & Marina (adjacent to the San Diego Convention Center) for a chance to be part of the inaugural tournament and be one of the first to play the game before its release date!!! Preliminary rounds will start at noon in which groups of 4 competitors will duke it out with the winner advancing to the next round. During the final rounds, competition will change to a 1 on 1 duel to determine the top smasher. Competitors will be allowed to sign up the day of the tournament but spaces are limited so you need to hurry and sign up early. Can't make it to Comic Con to catch all the action? No worries, friends! Nintendo has you covered! You can catch all of the smashing action live on the official Nintendo Twitch channel! 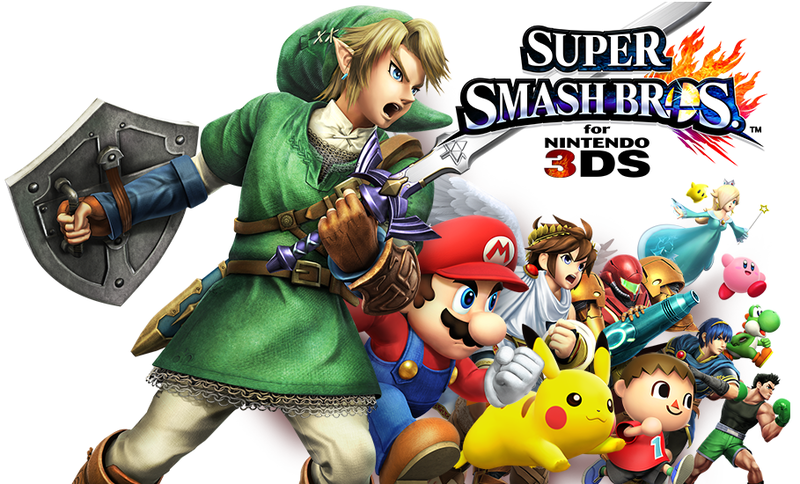 Super Smash Bros. for the Nintendo 3DS is set to release on Oct. 3rd, 2014 and set to release for the Wii U this holiday season! So, will you be attending? Will you be competing? If you can't make it, will stream? I've seen many of the official Nintendo trailers for the game and they have unveiled quite a roster of playable characters. I'm still most excited to see the Blue Bomber, MegaMan, put the beat down on some of Nintendo's most recognizable characters. I won't be there this year, but I will be watching and I will be rooting for Rock Man!!! Later!! !